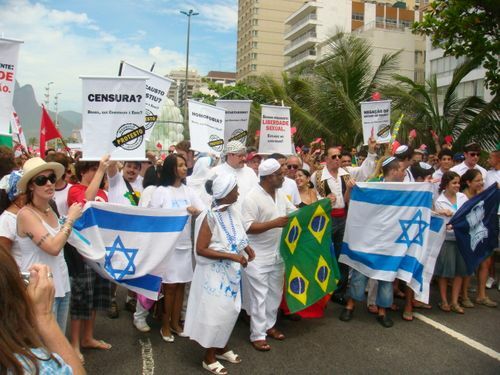 Israel Matzav: Brazil: No longer safe for Jews? JPost is reporting this morning that Jews are fleeing Brazil for Israel. Immigration to Israel, or aliyah, from Brazil has more than doubled in the past four years, from 191 in 2011 to over 400 so far this year. The average growth in aliyah for all of Latin America in the same period was just 7 percent. Though it has approximately half the Jewish population of neighboring Argentina, Brazil has sent more immigrants to Israel for two years running. An estimated 120,000 Jews live in Brazil. Whatever is motivating Brazilian Jews to come here, we are happy to have them. Welcome home.